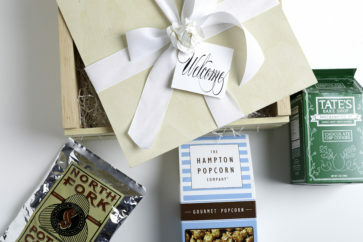 Welcome Family & Friends with these Local finds from The Hamptons! 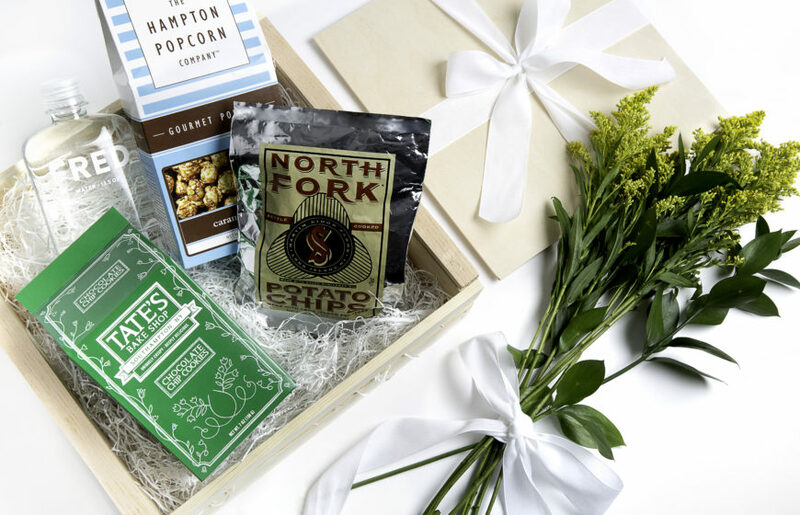 Included are Tate’s Chocolate Chip Cookies, Hamptons Popcorn, North Fork Chips and a bottle of Fred Water. 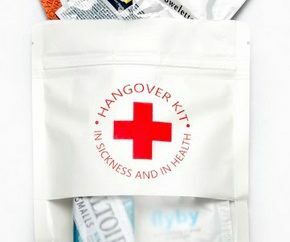 All are packaged in a Wooden Box with Ribbon and Hang Tag. 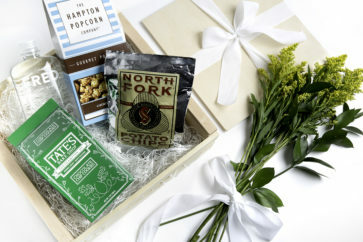 This packaged comes in a beautiful Wooden Gift Box, tied with Ribbon and a Welcome Hang Tag that can be personalized.